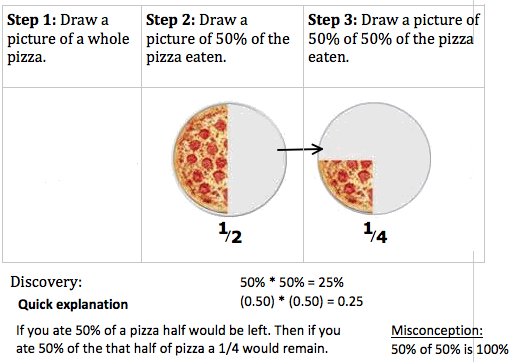 Quick explanation of why we cannot add or subtract separate percentages. Example: Let’s say you are order a pizza. 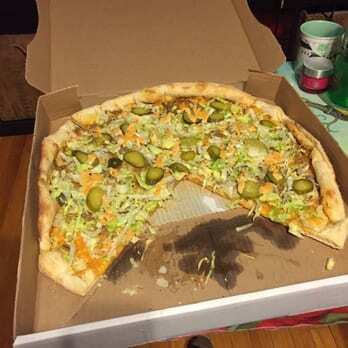 You are hungry an eat 50% of the pizza. Then your friend comes over and eats 50% of what remains. Extension: Write you own double % story problem involving the picture below and solve it. Part 1: Read the introduction below and pick out what you would order from the ﻿menu﻿ if you were me. ​Part 2: Click the link below and watch both the Act 1 & Act 2 Videos. ​Part 3: Without doing any scratch work or using a calculator, guess how much you could spend before tax and tip. ​Part 4: List any information or tools you might need in order to solve this problem. ​Part 6: Check your answer with the Act 3 video. How close was your guess? 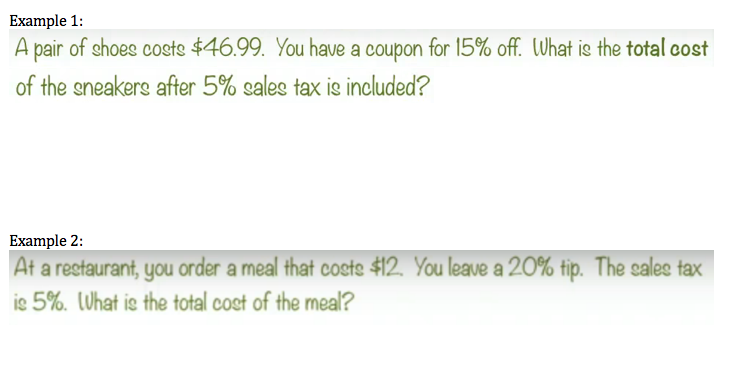 Could you order what you originally selected in part 1? 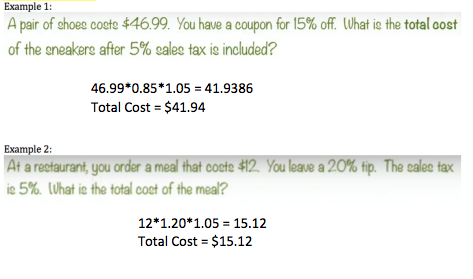 ​Part 7: If Mrs. Urquhart only had $15, how much could she spend before tax and tip? $25?